To date my research has been concerned with theories and practices of ethico-political responsibility in the context of ethno-nationalist conflict. I have worked on gendered violence and post-conflict reconciliation in Bosnia Herzegovina, and on solidarity activism in Palestine-Israel. More broadly, my work is concerned with grassroots activism and transnational civil society responses to gendered and racialised power and state violence. Recently I began work on a solo research project concerning prisoner rights’ advocacy in Palestine-Israel. Prior to joining the Sociology department in Warwick in September 2016 I was based in the School of Sociology and Social Policy at The University of Nottingham where I worked as a teaching-focus Assistant Professor. I completed my PhD in Critical Theory in 2013, and an MA in Post-Conflict Cultures in 2009 (with Distinction) in the Department of Culture, Film and Media at The University of Nottingham. I have a broad range of teaching and administrative experience and have been responsible for convening and designing core and elective modules at all levels. Subjects I have taught include classical and contemporary sociological theory, global studies, media, political communication, qualitative research methods, and philosophies of social science. Modules I teach in Sociology at Warwick include Class and Capitalism in the Neoliberal World, Gender Analysis and Development Practice, and Understanding Social Science. 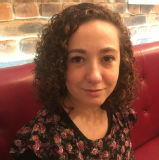 Todorova, T. (2015) ‘Reframing binationalism in Palestine-Israel as settler decolonisation’ in Antipode: a radical journal of Geography, 47:5. http://onlinelibrary.wiley.com/doi/10.1111/anti.12153/abstract. Todorova, T, (2013) ‘Bearing Witness to Al Nakba in a Time of Denial’ in Matar, Dina and Harb, Zahera, eds., Narrating Conflict in the Middle East: Discourse, Image and Communication Practices in Lebanon and Palestine. London: I.B. Tauris. Todorova T. (2012) Book Review of ‘Recording Memories from Political Violence: A Filmmaker’s Journey, Cahal McLaughlin (2010)’ in Journal of Media Practice, 12: 2. Todorova, T (2015) ‘Warehousing Palestine’ on OpenDemocracy.net, https://www.opendemocracy.net/beyondslavery/teodora-todorova/warehousing-palestine. Todorova T. (2013) ‘Interview with Sara Motta: Priestesses of the Encrucijada/Crossroads’ in New Left Project, http://www.newleftproject.org/index.php/site/article_comments/priestesses_of_the_encrucijada_crossroads. Todorova, T. (2011) ‘Cutting Women Out of the Frame’ in New Left Project, http://www.newleftproject.org/index.php/site/article_comments/cutting_women_out_of_the_frame. Todorova, T. (2011) ‘Special Report: What’s left of the Israeli Left’ in Ceasefire Magazine, http://ceasefiremagazine.co.uk/palestine-report-israel-left-4/. Todorova, T. (2011) ‘Special Report: After Palestinian Statehood’ in Ceasefire Magazine, http://ceasefiremagazine.co.uk/palestine-report-3/. Todorova, T. (2011) ‘Special Report: House Demolition in the West Bank’ in Ceasefire Magazine, http://ceasefiremagazine.co.uk/palestine-house-demolitions-1/. Todorova, T. (2011) ‘Special Report: The Real Housing Crisis in Israel, Ceasefire Magazine, http://ceasefiremagazine.co.uk/palestine-house-demolitions-2/. Todorova, T. (2011) ‘Special Report: The Russell Tribunal on Palestine’ in Ceasefire Magazine, http://ceasefiremagazine.co.uk/russell-tribunal-report/. 2015: Nominated for Students’ Union Staff Oscar in the categories of Teaching: Best All-Rounder, and Personal Tutor: Best All-Rounder. 2009: Winner of the FWSA (Feminist and Women’s Studies Association) Student Essay Competition. March, 18th, 2016 ‘Transnationalising human rights advocacy for political prisoners in Israel-Palestine’, Inter-Disciplinary.Net, 7th Global Conference on Experiencing Prison, Hungary Budapest. June, 15th 2015 ‘Crossing colonial borders: internationalising the de-colonial struggle in Palestine-Israel’, The Government of Postcolonial Citizenship and Migration Workshop, The University of Sheffield. June, 16th – 18th 2014, ‘The Middle East in Global Perspective: Interactions Across Time and Space’, Annual Conference of the British Society for Middle Eastern Studies (BRISMES), University of Sussex. Paper entitled: ‘Reframing Israel-Palestine’. May, 17th – 19th 2013, ‘(Im)possibly Queer International Feminisms’, 2nd Annual IFjP Conference, University of Sussex. Paper entitled: The (Im)possibly Queer Border: The Case of Anarchists Against the Wall, Israel-Palestine’.